Exceptionally high performance combined with cost efficiency. 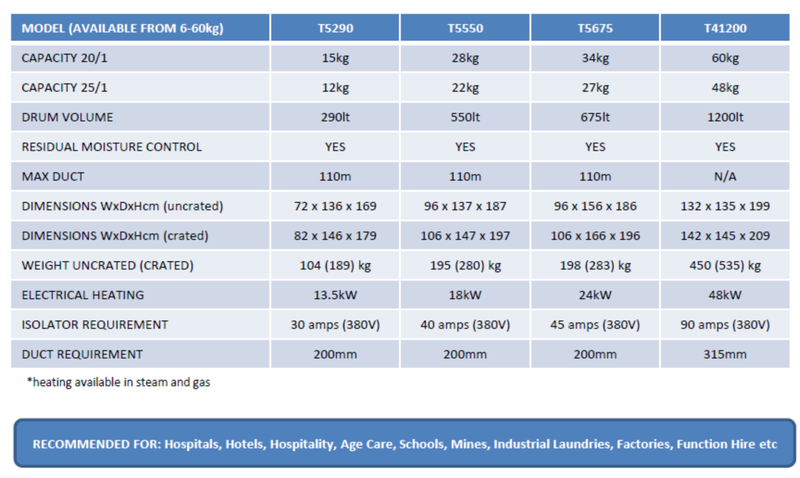 Expect great results and improve your laundry’s efficiency by minimising running costs with our Tumble Dryers. 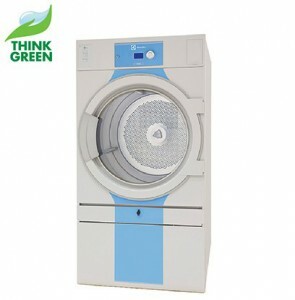 Assured excellence inside through ergonomically designed incorporated features, our Dryers are simple and safe to use. They also consume 20 to 30% less energy than our competitors. Electrolux Line 5000 – Designed by experts. Inspired by you. Excellence means constantly aligning superior products and services to customer needs. It means going the extra mile to transform machines into a solution. It implies continuously evolving to stay one step ahead of your own personal best. Ultimate durability Due to robust mechanical construction, our machines require less maintenance & are optimised for all kinds of operations & environments–for reliability you can count on. Enhanced “Green” economy Lowering operational costs can be done without compromising quality. We provide you with solutions that use less water, energy and detergent in order to make wash and dry cycles more efficient. Maximum flexibility The new Compass Pro® control system maximises performance and gives you all the flexibility you could wish for. In addition to making life easier, this offers you unique ergonomic extras even before loading.